Some of my family members recently visited us here in the Cypress, TX area. One of the days they were here, just the the ladies went shopping. After shopping we decided to grab lunch. 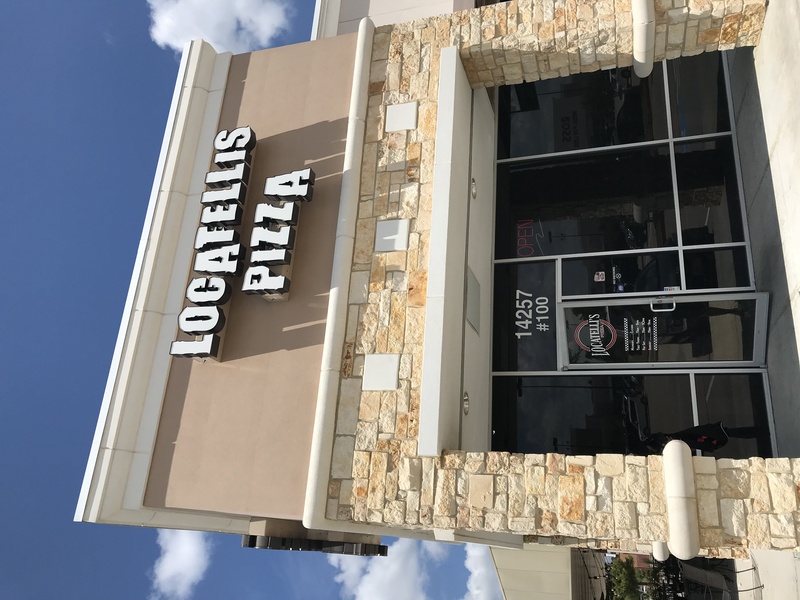 We were shopping in the Tomball Marketplace shopping center and Locatelli’s Pizza has a location there. As we drove up, we noticed that there was a great patio area outside but it was too hot to sit outside. 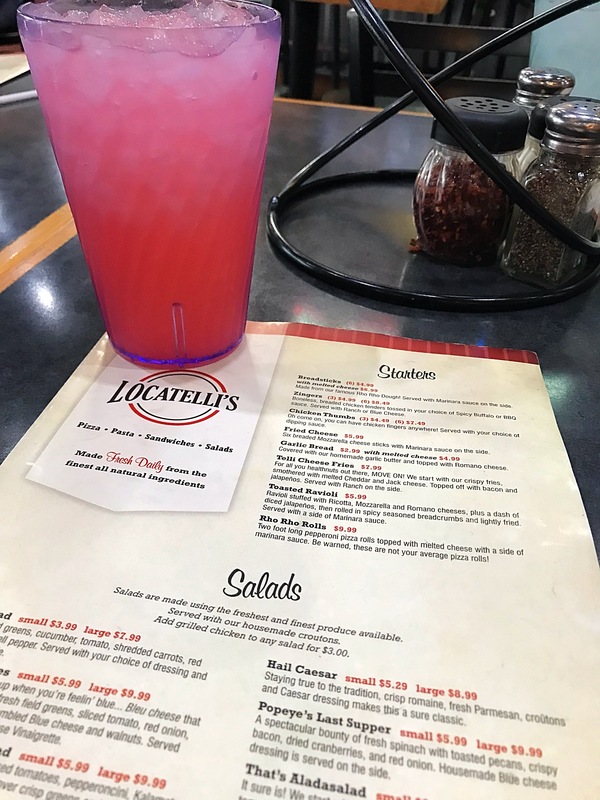 Locatelli’s is a family owned business inspired by family recipes. We were seated and the waitress immediately came to take our drink orders. She also made a few recommendations for appetizers. 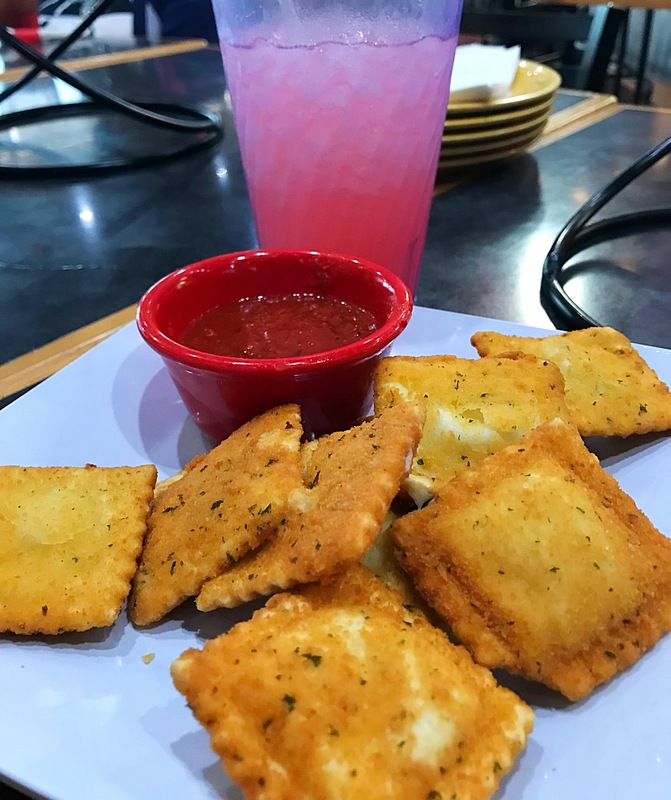 The Toasted Ravioli was suggested by my daughter. So we decided to try this one. This dish consisted of Ravioli that is stuffed with Ricotta, Mozzarella, and Romano Cheeses, & a dash of diced jalapenos. The ravioli was tossed in seasoned breadcrumbs and lightly fried. Served with a side of Marinara sauce. The ravioli was crispy and filled with yummy goodness. A good option for baby girl. She ended up eating this as her meal instead of an appetizer. We ordered the Telli Cheese Fries which came highly recommended and is said to be a top seller. 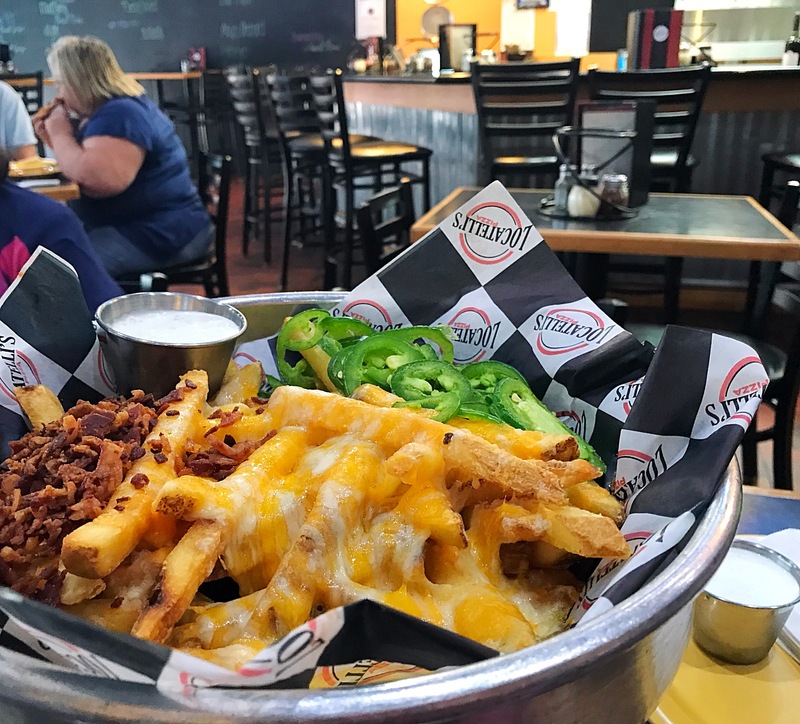 The Telli Cheese Fries consisted of crispy fries, smothered with melted Cheddar and Jack cheese and topped off with bacon and jalapeños. Served with a side of Ranch. The fries were nicely presented. The bacon, jalapeños and fries went well together. 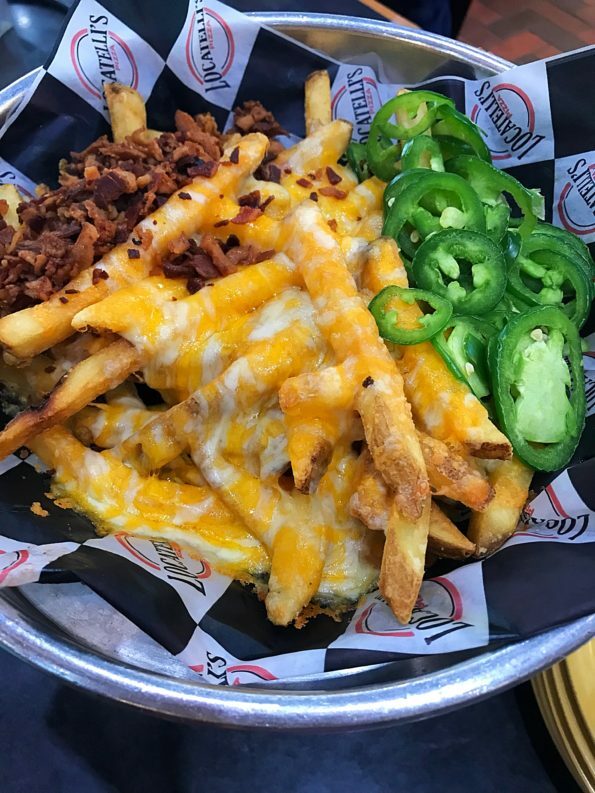 I wish there was a cheese sauce with the fries instead of just the melted cheese on top but overall it was a pretty good appetizer. My family loves pizza so I ordered a big pizza for us to share. I created what I am calling the Dumas Special. 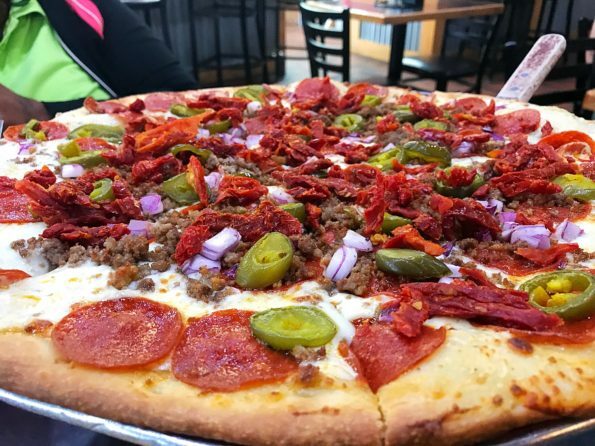 My pizza consisted of Alfredo Sauce, Ground beef, Pepperoni, Red Onions, Pickled Jalapeños, Sun-dried tomatoes and Mozzarella Cheese. Oh my word, this Pizza was both delicious and visually appealing. 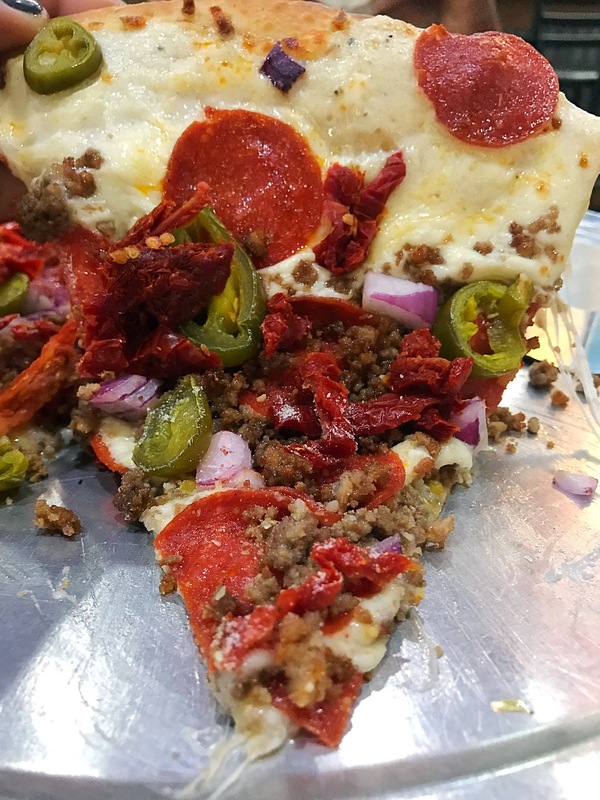 The pizza was cheesy with the perfect balance of ingredients on top. So good! Overall the dining experience at Locatelli’s was wonderful. Our waitress was sweet, helpful and she served us well. Locatelli’s also serves Pastas, Sandwiches, Salads and Desserts. There is a new location where we live that has recently opened and we are hoping to check out that location as well. 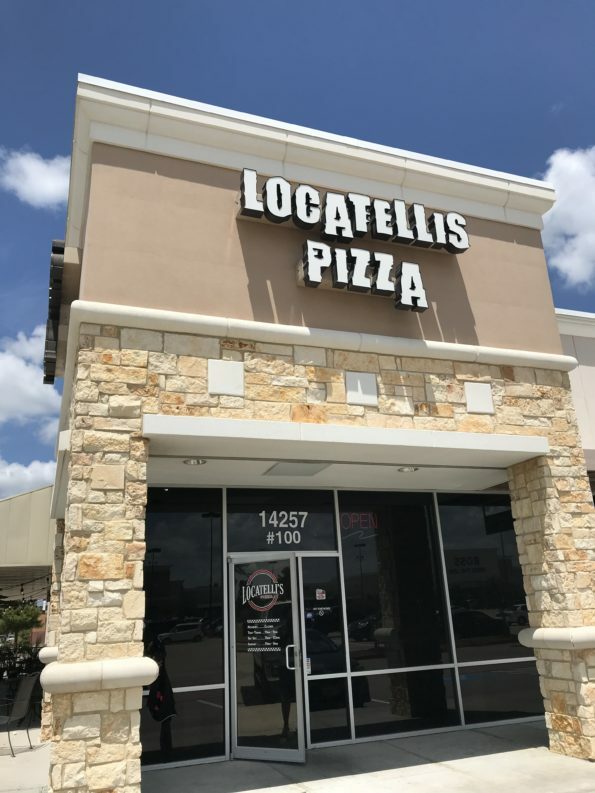 Locatelli’s is located at 14257 FM 2920, Suite 100, Tomball, Texas 77377. The Hours of Operation are Sunday – Thursday 11:00 a.m. – 9:00 p.m. and Friday – Saturday 11:00 a.m. – 10:00 p.m.
Go and check them out and be sure to tell them that Da’Stylish Foodie sent you!